Everyone sees things differently, to me that is what photography is all about. I spend a considerable amount of time looking at other people’s images, just as in my job I spent a lot of time trying to see things through the eyes of others. This challenges me to find my own vision, my own style and my own subjects. This is not a website about equipment, but for the record I now use a Nikon D500 and D7200. I am a fan of the Nikon 200-500mm, 300mm, 24-70mm and 70-200, but I do use other lenses. I also have Fuji XT-2 and some prime lenses that I am using as a walk around rig. I do edit and post process my photographs. This website is where I intend to speak to my passion about photography and alert people to new work on my main site (rakmilphotography.com) – where for the most part it is for sale. I welcome comments and I appreciate your visits, views and follows. Do you have to travel far for your nature photographs e.g. herons, ducks or are these in your neighbourhood? The places you photograph look lovely. Makes me want to visit them. Ottawa is surrounded by great places. Thank you for following my photo blog! Much appreciated! Your photos are wonderful…love the contrasts in subject matter! I will look forward to looking through all of your photos very soon….and seeing new ones! Thanks for stopping by Along the Way and the like. I look forward to viewing more of your shots. Thanks for visiting my blog, Victor. You are an amazing photographer! Thanks for visiting my blog, You are an amazing photographer! Thank you for stopping by! Great photography sir. thank you for following my humble blog.. i’m glad you did because i found out about your blog.. you have a great photoblog.. i love great photos and i hope photography would love me more in the future.. yes, i do believe that fewer words are better than more, that the photographs should speak for themselves.. Thank you for the like on Diary of an Internet Nobody. I’m very flattered, coming as it does from a photographer of your calibre. Thank you for your like on my blogg. thanks for stopping by and the like on my recent post. I appreciate it when a fellow photographer enjoys a shot I took. I enjoyed looking at your work as well. Best Wishes for your new site on Smugmug. I am flattered by your like on my recent post on 5280LensMafia. Your work is exquisite. I am new to photography and I thank you for your inspiration and your blog. Thanks for liking my blogpost earlier today. Nice blog you have here! Victor, I’m enjoying browsing through your posts. Interesting subjects and captures and an nice body of work. Thanks for dropping by me blog casa. I have an Nikon D200 and a D5000 and I want to replace the D200 with a better one. Would you say the D7000 is a good choice? Or would you rather go for the D800? I can only tell you what I have done. I bought a D7100. Have not had much chance to use it yet but I have good reason to believe its very very good, I have a d7000, very good and a D300, very good. I have not tried the D800. I will post something more substantive, probably tomorrow. I wanted to thank you for stopping to check out my blog and follow me! I hope you continue to enjoy my future posts. thanks for stopping by and the like on my recent post. I enjoyed looking at your recent work. I have nominated you for the The “One Lovely Blog” Award. You can find the information on the below link if you choose to accept the award. Thanks for Liking my Photographyunposed blog! I will be following yours! It looks good! Thanks for stopping by “The Sundog Drift” and liking some of my posts/photography. As I am self taught and still in need of teaching I will follow your blog. Nice work. I love your work! I would like to add your blog link – on my blog (sidebar admired artists) – as I enjoy sharing varied artists who in fact inspire me. Thanks, go right ahead. I appreciate the support and compliment. Great! Thanks and you have been added! Thanks for visiting my humble blog. I’ve learned a great deal just by reviewing a few of your entries. I look forward to reading more, viewing more, and learning more. Thanks! Victor, you have a great eye. I especially like what you said about pros vs. amateurs. You really just made my day and expressed my inner thoughts better than I could have. Thanks for stopping by my blog diced imagery. Can you tell me a little about the flash rig you are using in the picture at the top of this page? I use something very similar but smaller. I’m not interested in the specifics of the equipment but more into how you are balancing flash and available light and whether you experimented with smaller diffusers. In one of my earlier posts I speak about diffusion. The fact is its hard. I prefer flashes off camera, soft boxes with diffusion, but I am also working with dedicated Nikon macro flash and the design of diffusion to go with that. For me its too unwieldy to put the diffusion between the sun and the subject, so its between the flash and the subject. Most of the time I am in aperture and TTL, although some times manual exposure works best to get significant depth of filed in macro. The soft box you see is very workable I have a small lastolite that folds up also very good, and arm helps. Most people create their own to dd to commercial flashes and soft boxes. Visit Beatles in the Bush on wordpress. from what i have looked at so far from yuor blog, your photos of flowers and birds have that simplicity quality and beauty to them, and the narrative indicates either deep knowledge of the subject matter or good research. keep up the great work. 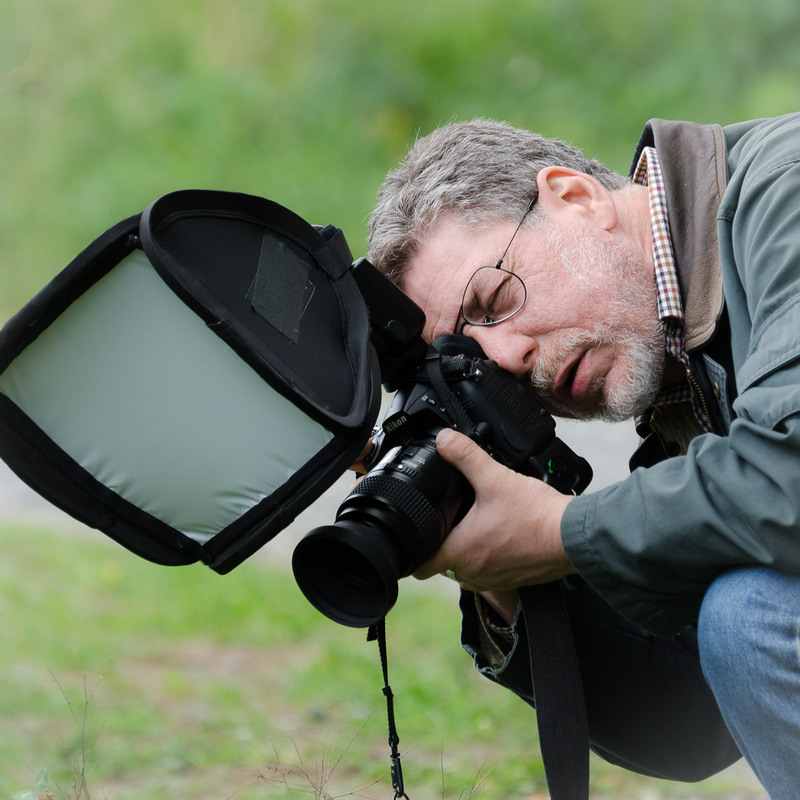 if i may ask, are you an expert in this field or a photographer first and foremost. wishing you a good week ahead. Thanks for dropping by “Honey.” signed a beginner photographer. I look forward to seeing more of you photography. Thank you for liking my photo post. Your photos are wonderful and I’m following to see more of your work. Thanks for the recent visit to/follow of my blog. It led me here and I’ve really enjoyed perusing your recent entries. You’ve posted some marvelous imagery and provided some useful tips as well; your macro entry of about a week ago was extremely thorough. I finally got around to clicking on your “about” page to learn about you. I also, finally visited your smugmug website. Very nice. And yes, you are very versatile. Thanks. My best work is on SmugMug. Yes, I think it is showing your diversity and many of your photos are inspiring. As I looked through them I gave a number of them thumbs up. Thanks much appreciated, however, I will pass. I also enjoyed your photographs! Thanks for the like! You have lovely images. So glad you commented on one of my posts because it prompted me to stop by your website to check it out. I’m rather new to photography and I think that I can pick up a few good ideas following you. Great! We can exchange tips! Thanks for stopping by on my street photography post. I see you have a lot of followers. Since I am new to blogging, would you mind giving me a shoutout to help me gain exposure and followers. This would really help me progress as a teen photographer and hopefully future journalist. The one rule is patience, looking at others work and commenting, publishing interesting things are two and three. Victor, thanks for taking a look at the Hammer Home Street Photography Project. Those are great lenses. I am a big fan of Nikon. I am now using D 7100s and it’s another great leap forward. Loved your shots and hope you enjoy my posts. Thanks for liking my Photo 101 gallery. Have a great day! We really enjoy looking at your pictures, and therefore have nominated you for the creative Blogger’s award. Thanks. Much appreciated. Honored but I think I have shared quite bit about myself. Thanks for nominating me. It is always a pleasure to see your work. Not a problem Victor, this is the first award we have accepted, and is possibly the last. So we totally understand. Hello there my friend. Your blog looks amazing and I shall look forward to returning again. Just wanted to thank you kindly for visiting and following my own. I really appreciate it. Hi Victor, Thanks for liking my blog post on Ama Dablam, Nepal. You have some beautiful images here, I am now following you. Thanks. I miss Nepal it will never be the same. To participate, you have to tell 7 things about yourself and nominate others. I am not sure where this award is from and what it means but I am nominating you. I think it is just a fun activity. I enjoy your photographs and commentary. I like to keep up with the recent entries. Thanks. Forgive my reticence to accept but I sincerely appreciate the nomination. I am in awe of your photography. Thank you so much for visiting our blog, and for the ‘like’ on the post about albatross and penguins. It’s very encouraging. Great post. Thanks for following me. Wanted to tell you how much I enjoyed your work featured on http://www.rakmilphotography.com , especially the Merganser ducklings (the one with the dragonfly was serendipitous, eh?). The photographs were so intimate, almost like being one of the flock! Hi Victor, many thanks for stopping by my blog & liking my post ‘Attention’, it’s very much appreciated. You have a great looking site & some wonderful macro images, which take skill and a fantastic photographic eye. Thanks for passing by my nascent blog recently, I see you have a similar attitude to me regarding too much equipment geekery! I’m not averse to a sneaky envious look at a lens catalogue every now and then but in the end I use what I have. As a longtime admirer of your blog and your expert photography, I am so pleased that you would follow Oh, the Places We See. Thanks so much. I’ve learned from you, so maybe you can see if any of my photos are interesting to you. Best wishes for a great spring! Thank you. I thought I was following you. amazing portfolio and website for photography! Thanks for Sharing with us! Its really inspiring! Most Welcome and request you to review mine blog for your suggestions! I have thanks. Worth the visit. Thanks a lot! And welcome again! Hi. I am compiling a selection of inspiring photographs for a blog post. The aim is only to share some great pictures from blogs that I follow. I’d like to include one of yours (‘Ants and Depth of Field’). I will provide full attribution and links both to your HP and the post. You won’t mind will you? Cheers. Thanks you have my permission. Thanx for visiting and following my blog. You have some beautiful photos !! Victor, did you miss this blog? https://leesbird.com/2016/07/12/san-diego-zoos-white-crested-hornbill/ You are honored in this one by me. Did see you had been there. Private. No I had not. Thank you, quite an honor! Can you please tell me how (and if) I can obtain permission and what your credit requirements are? You are selling items on your website, and you want to use my photos. Make me an offer and we can discuss it. Thank you for appreciating and following my projects. Hi Victor, Thanks for following my photography blog, Jane’s Lens. Much appreciated. I’ve enjoyed your work for a long time and I hope you’ll feel the same. 🙂 Happy shooting. Hello, I am pleased that you found the blog where I write about Photography. Now that I know about you I intend to spend time looking at your photographs and reading what you have to say about your subjects. I don’t know why I hadn’t stopped by your blog before today, Victor. Your bird and flower photography is superb. But now that I’m following you, I’ll be able to see your images more regularly. Many Thanks for the follow at naturestimeline, always welcomed.